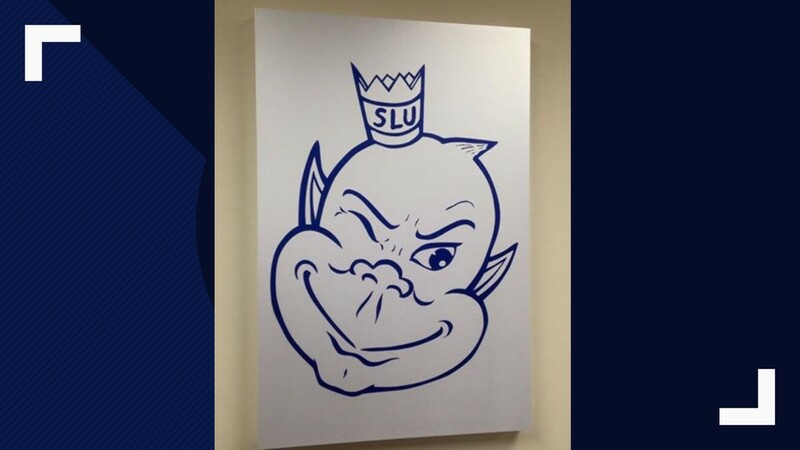 ST. LOUIS — He has beaming blue eyes and a sly grin—and most people have no idea what the Saint Louis University Billiken actually is. SLU is on the national stage. First, the team won the Atlantic 10 Tournament title earning them a spot in the NCAA Tournament for the first time in five years. The search term “Billiken” is trending as high as it can go on Google Trends. It’s most popular in Missouri, Illinois and... Alaska. We’ll get back to that in a moment. 5 On Your Side turned to the professionals at SLU for an answer. 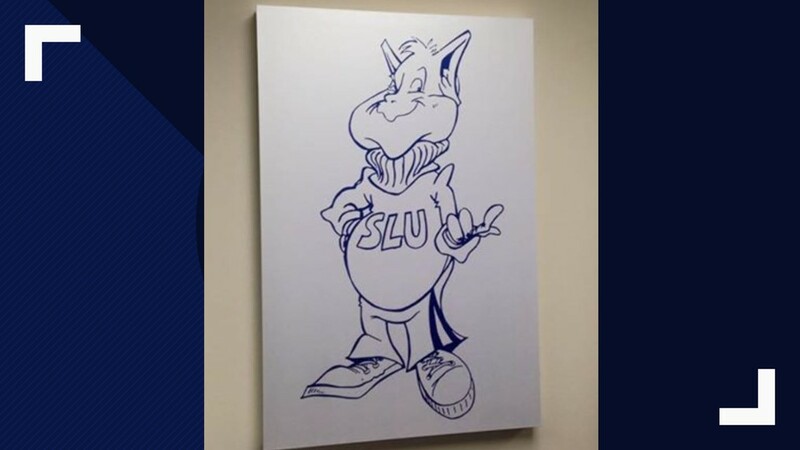 “The Billiken is a mythical good-luck figure who represents ‘things as they ought to be,’” according to SLU’s website. One of the earliest Billikens! From the 1920s, referred to as the "Rice Krispies" Billiken. 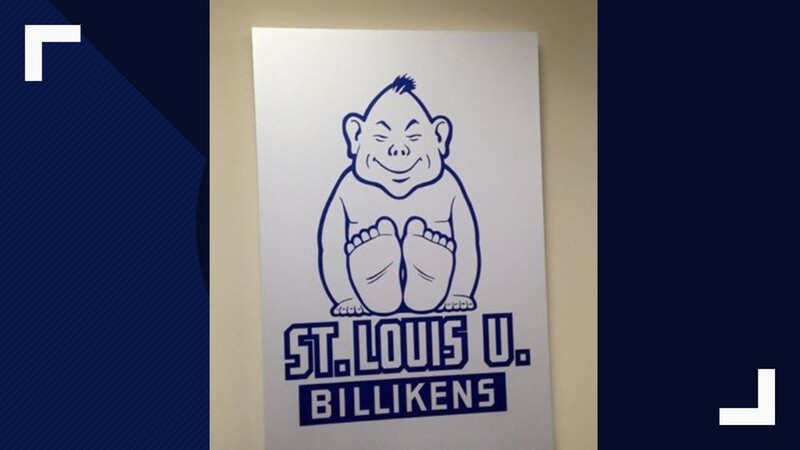 The "Buddha Billiken" was used at SLU in the 30s and 40s, SLU High uses a Billiken like this. 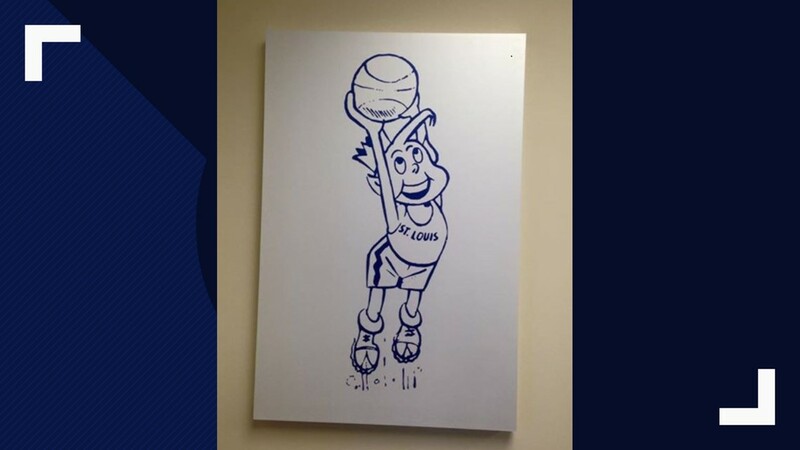 Even though you might never have heard of a Billiken outside of SLU, it actually used to be a national sensation. According to SLU, the figure was once made into dolls, candies, banks, salt and pepper shakers and car hood ornaments. Exactly how the Billiken became SLU’s mascot isn’t clear, but all stories point to a student in the early 1900s. John Bender was studying law but took over coaching SLU’s football team and apparently looked like the mythical figure. 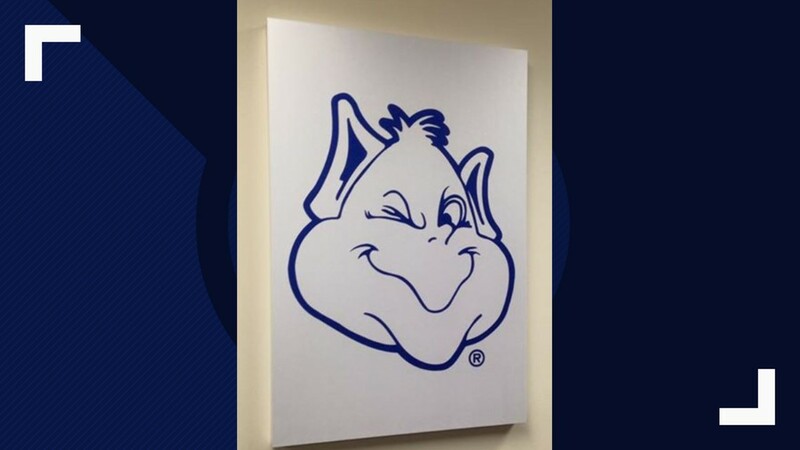 SLU says it’s the only university to use the Billiken as a mascot. You won’t find the grinning caricature smiling on the sidelines of any other games, but you can find statues dedicated to the mythical creature in St. Louis and around the world. There’s a bronze version outside SLU’s Chaifetz Arena (rub his belly for good luck!). 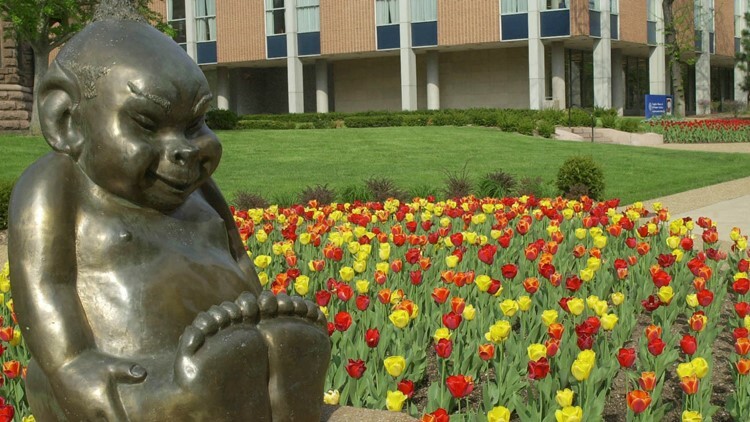 Brightly-colored tulips surround Saint Louis University's bronze mascot, Billiken, Friday, April 19, 2002, in St. Louis. Students often rub the mascot's belly for luck. There’s a wooden version in the Tsutenkaku Tower in Osaka, Japan. And here’s where the popularity in Alaska comes into play. Eskimo carvers frequently include the Billiken in the collection of figurines they create. It’s often used in jewelry and can be seen in various knick-knacks in touristy areas. 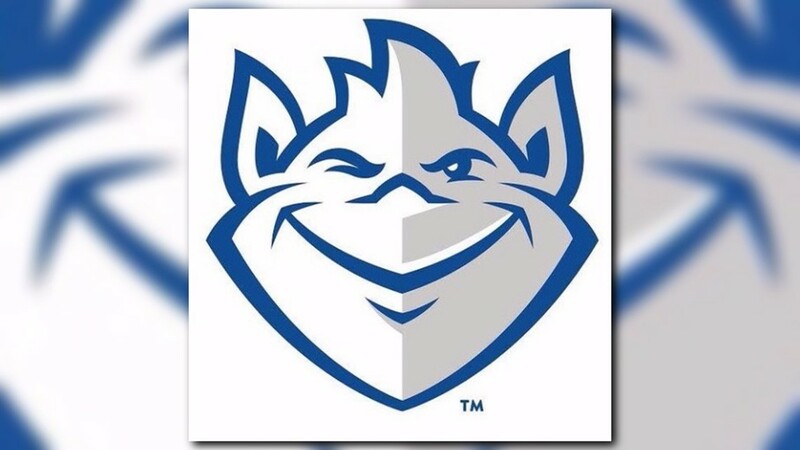 Officials with SLU’s communications department said the school’s “What is a Billiken?” website page has skyrocketed in views. They’re attributing it to people filling out their brackets and wondering about the strange mascot.